Product prices and availability are accurate as of 2017-10-05 06:09:39 EDT and are subject to change. Any price and availability information displayed on http://www.amazon.com/ at the time of purchase will apply to the purchase of this product. 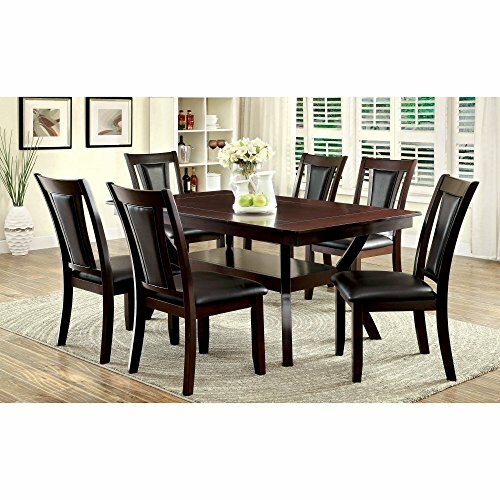 The Furniture of America Mullican 7 Piece Display Top Dining Table Set - Dark Cherry brings your dining room decor up a level with modern designs in rich colors sure to add an air of luxury to your home. 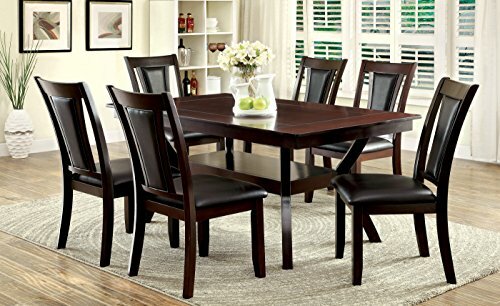 This handsome ensemble includes a rectangular table with open display shelf and six splat back chairs finished in dark cherry with espresso leatherette padding for increased comfort. Based in California, Furniture of America has spent more than 20 years establishing itself as a premier provider of fine home furnishings to urban-minded shoppers. The people behind the brand are moved by passion, hard work, and persistence, and their company's mission is to design the latest piece and offer high-quality furniture to trendy shoppers without compromising packaging integrity. Furniture of America offers unique, coordinated, and affordably designed furniture - not to mention exceptional style. 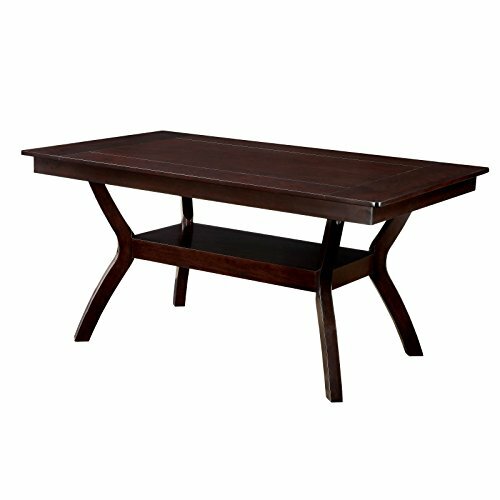 Table Dimensions: 64L x 38W x 30.25H inches. 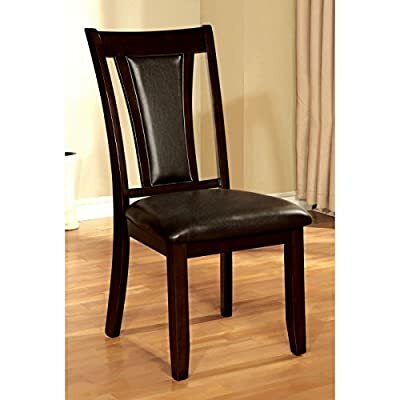 Chair Dimensions: 25W x 19.5D x 38.5H inches. Crafted from solid wood and wood veneer. Dark cherry finish. Rectangular tabletop supported by base with open display shelf. Six splat back chairs with espresso leatherette upholstery. Contemporary design.